Gore, a leading voice on the fake news of "climate change" met with the president-elect at Trump Tower calling the meeting "productive" and "extremely interesting conversation." Gore categorized the meeting as a "sincere search for common ground." Gore said he also met with Ivanka Trump, the president-elect's daughter. Transition officials reportedly said earlier Monday that the two would discuss climate change. When asked what was discussed, Gore said only, "To be continued." "We're excited to have Dr. Carson as our intended nominee for Housing & Urban Development" The Vice President-Elect said outside Trump Tower in New York on Monday. "We're looking forward to another very productive week in the transition, setting a historic pace and ill be spending time in New York this week, spending time here at trump tower" Pence said. "The American People are rightfully encouraged and impressed at the speed and persistence that our president elect is bringing"
President-Elect Trump Announces Additional Agency Landing Team Members: Department of Commerce; Department of Energy; Department of Health and Human Services; Department of Homeland Security; Department of the Interior; Department of State; Department of the Treasury; Department of Transportation; Department of Veterans Affairs; Environmental Protection Agency; General Services Administration; Office of the Director of National Intelligence; Office of Management and Budget; Office of Personnel Management. 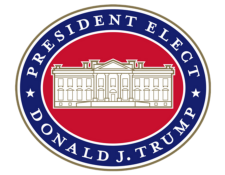 President-Elect Trump Announces Additional Agency Landing Team Members: Department of Labor: Richard Manning; Office of the Director of National Intelligence: Paul Becker, Bryan Smith, L. Roger Mason, Jr., Brad Hansell, Benjamin Powell; National Security Council: Brad Hansell; and Department of the Interior: Kathy Benedetto. Attorney General Pam Bondi met in New York on Friday with President-elect Donald Trump, and left Trump Tower smiling but saying very little about whether she's being considered for a White House job. Bondi declined to say what she and Trump talked about. "I can't discuss that," Bondi said. "I'm a member of the executive transition and I just don't think that's appropriate for anyone on the team to be talking out of school." Bondi continued "I'm on the transition team and we're doing everything we can to help him put the best people in place. So right now I'm attorney general of the state of Florida. I think the whole country should be so proud of how hard he is up there working. Most people when they get elected take a vacation. And that man is working around the clock, nonstop with Reince Priebus and with Steve Bannon and the whole team. They're up there. It's just a great situation. It's positive and I think they're making a huge difference for our country." Former Defense Secretary Robert Gates said Friday that he will not be joining President-elect Donald Trump's administration. Gates, who served under Presidents George W. Bush and Barack Obama, had talked with Trump for about two hours — his second meeting in as many days, according to the report. The Trump transition team has not described why Gates was meeting with the president-elect. But Gates praised Trump's pick of retired Marine Gen. James Mattis in his former position. "We had a very wide-ranging conversation," Gates said, according to Politico. 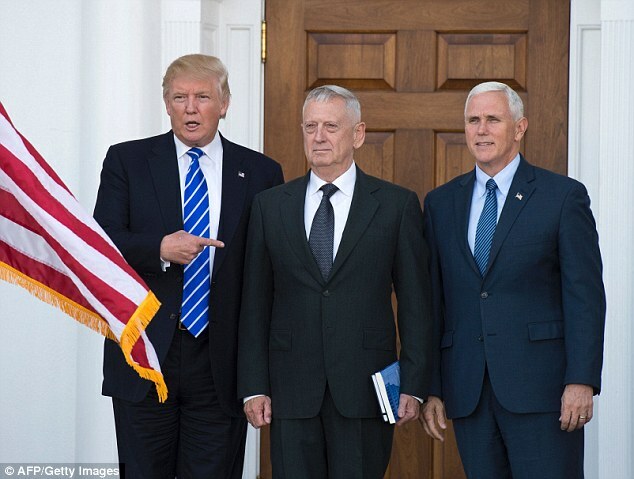 "I told him I thought his selection of General Mattis to be secretary of defense was terrific, very supportive."